Federal prosecutors investigating cheating in professional cycling have subpoenaed documents from a 2004 case in which a Texas company tried to prove Lance Armstrong used performance enhancing drugs. Jeffrey Tillotson, the attorney who handled the case for Dallas-based SCA Promotions Inc., said Tuesday that his office will send the documents to federal prosecutors in Los Angeles. The records include depositions from former Tour de France winner Greg LeMond, former Armstrong teammate Frankie Andreu and his wife, and testimony from Armstrong and his business associates. The Wall Street Journal first reported the subpoena Tuesday. Armstrong has not received any subpoenas or official requests from federal investigators, according to his attorney, Bryan D. Daly, a criminal defense lawyer and former federal prosecutor based in Los Angeles. "Truthfully, I don't have any idea how Lance Armstrong fits into this whole thing," Daly said. "Lance Armstrong doesn't want to be stuck in the middle of a celebrity investigation." Armstrong and SCA went to arbitration after the company withheld a $5 million performance bonus it owed Armstrong for his 2004 Tour de France win. 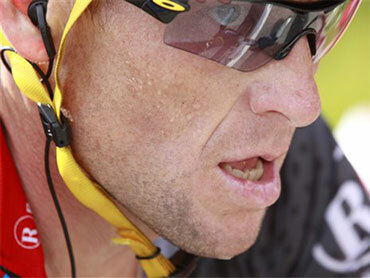 SCA had cited published allegations Armstrong was doping, which he denied. The cyclist never has failed a drug test and has strongly denied all allegations he participated in doping. The 2004 case ended with SCA paying Armstrong $7.5 million, covering the original contract plus attorneys fees and interest. Sean Breen, one of Armstrong's attorneys in the SCA case, said most of the case testimony already had been leaked in recent years. "There's nothing in (the subpoenaed documents) that hasn't been released or would support any contention he was doping or cheated," Breen said. Federal prosecutors' investigation was spurred by more recent accusations from Floyd Landis, Armstrong's former teammate on the U.S. Postal team. Armstrong has denied the allegations and questioned Landis' credibility. Armstrong won the Tour de France a record seven times from 1999-2005, an era that started after his recovery from testicular cancer that had spread to his lungs and brain. The SCA case involved three weeks of testimony from dozens of witnesses. Betsy Andreu claimed that days after Armstrong underwent brain surgery in 1996, he told a doctor he used the blood-boosting hormone EPO and other drugs. Frankie Andreu also gave similar testimony. Armstrong denied those claims and his lawyer released an affidavit from the doctor who led his chemotherapy treatments saying there is no medical record of any such admission. "I would have recorded such a confession as a matter of form, as indeed, would have my colleagues," Dr. Craig Nichols said. "None was recorded." Other allegations in the case included LeMond saying Armstrong threatened his life, a charge Armstrong dismissed as "ridiculous." America's top two cyclists have feuded for years. Federal investigators in Los Angeles also have sought records from several Armstrong associates, including LeMond and former teammate Tyler Hamilton. LeMond attorney Mark Handfelt said in an e-mail to The Associated Press that the request to his client was only for documents, not testimony. Hamilton's attorney, Chris Manderson, confirmed a subpoena had been issued to his client, but declined to discuss the details. "Tyler would have preferred to stay out of this," Manderson said. "He wants to concentrate on his training business and his own battle with depression."